In today’s increasingly mobile world, identity has quickly become the new perimeter – and the most important security attribute. Add to that a rise in complex threats ranging from workplace violence and data breaches to consistent violations of compliance regulations caused by process gaps across departments and the need for enhanced identity management in the healthcare environment becomes apparent. 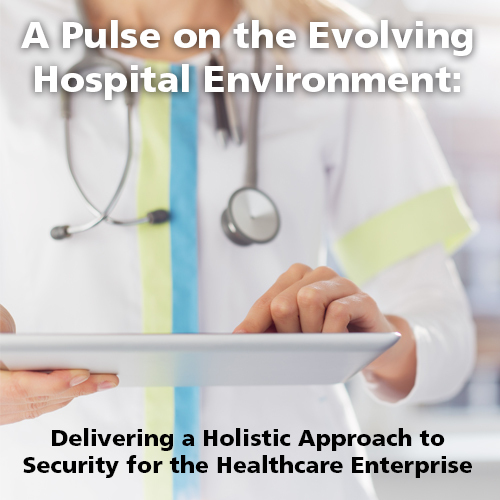 This webinar will cover how the hospital security industry has evolved over the last 10 years and what the leading hospital systems are doing to adapt to these changes. Learn about innovative new technologies that integrate Physical Access Control Systems with HR, Identity Management, and other enterprise applications to automate the complete employee, contractor, vendor, and visitor lifecycle process. Uncover state-of-the-art capabilities that leverage workflow and automated rules processing to actively enforce policies and procedures, leading to a more efficient workplace that enhances security and enables business results. Examples include verifying immunizations for healthcare workers prior to allowing them access to critical care patients, or seamlessly making sure employee certifications and continuing education are up to date. Join our industry experts to discover how behavior monitoring and predictive risk analytics are helping to safeguard against insider threat, pin-point high risk areas, and track persons of interest.